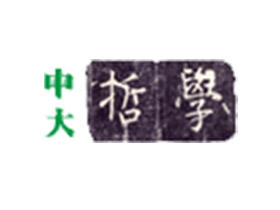 Director of MA in Philosophy, CUHK, as well as Director, Edwin Cheng Foundation Asian Centre for Phenomenology and Associate Director, Institute for the Humanities,CUHK. 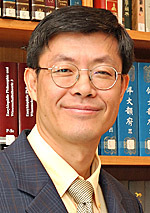 Serves also as founding editor-in-chief of Journal of Phenomenology and the Human Sciences (in Chinese), and founding member of the research network P.E.A.CE (Phenomenology for East-Asian CirclE). One of the editors-in-chief of the series New Edition of LAO Sze-Kwang’s Academic Works (in 13 volumes), as well as the series LAO Sze-Kwang’s New Works (hitherto 3 volumes published), both series being published by the Chinese University Press. 《法國現象學的蹤跡──從沙特到德里達》，<現象學與人文科學研究叢書>，台北：漫遊者文化事業股份有限公司 (Traces of French Phenomenology: From Sartre to Derrida, Taipei: Azoth Books Co., Ltd.), 2018, 446 pp. Phenomenology and Intercultural Understanding: Toward a New Cultural Flesh, series “Contributions to Phenomenology” (Dordrecht: Springer, 2016), xii + 256 pp. Border-Crossing: Phenomenology, Interculturality and Interdisciplinarity, eds. Kwok-ying Lau and Chung-Chi Yu, Series “Orbis Phaenomenologicus Perspektiven” (Würzburg: Verlag Königshausen & Neumann, 2014), xii + 231pp. Phenomenology and Human Experience, eds. Chung-chi Yu and Kwok-ying Lau, series “Libri nigri” (Nordhausen: Verlag Traugott Baut GmbH, 2012), xiv + 197 pp. Identity and Alterity. Phenomenology and Cultural Traditions, eds. Kwok-ying Lau, Chan-Fai Cheung and Tze-Wan Kwan, series “Orbis Phaenomenologicus Perspektiven” (Würzburg: Verlag Königshausen & Neumann, 2010), xii + 379 pp. 《萬戶千門任卷書──勞思光先生八十華誕祝壽論文集》，劉國英、伍至學、林碧玲合編（香港：中文大學出版社）(Across a Hundred Schools and Doctrines: A Festschrift for Lao Sze-kwang in Honour of His Eightieth Birthday, ed. by Lau Kwok-ying, Wu Zhi-xue and Lin Biling, Hong Kong: The Chinese University Press)， 2010，viii + 557pp. 《修遠之路──香港中文大學哲學系六十周年系慶論文集·同寅卷》，劉國英、張燦輝編，香港：中文大學出版社(Ponder over Yonder: Essays in Commemoration of the 60th Anniversary of the Department of Philosophy, CUHK—Faculty’s Contributions, ed. by Kwok-ying Lau and Chan-Fai Cheung, Hong Kong: The Chinese University Press)，2009，xii + 632 pp. 《求索之迹──香港中文大學哲學系六十周年系慶論文集·校友卷》，劉國英、張燦輝編（香港：中文大學出版社）(Traces across Interlaces: Essays in Commemoration of the 60th Anniversary of the Department of Philosophy, CUHK—Alumni’s Contributions, ed. by Kwok-ying Lau and Chan-Fai Cheung, Hong Kong: The Chinese University Press)，2009，xii + 518 pp. Husserl’s Logical Investigations in the New Century: Western and Chinese Perspectives, eds. Kwok-ying Lau and John J. Drummond, series “Contributions to Phenomenology” (Dordrecht: Springer, 2007), viii + 175 pp. 《夜闌風靜人歸時：陳特老師紀念集》， 劉國英、周保松主編（香港 : 從心會社）， 2005，88pp. 《無涯理境──勞思光先生的學問與思想》，劉國英、張燦輝合編（香港：中文大學出版社） (Infinite Horizons: Professor LAO Sze-Kwang as Scholar and Philosopher, ed. LAU Kwok-ying and CHEUNG Chan-Fai, Hong Kong: The Chinese University Press)，2003，vi + 340 pp. 《在求真的道路上──賀沈宣仁教授七秩之慶》，黎志添、劉國英、張燦輝合編（香港：中華書局 ）(On the Way to Truth: Festschrift for Professor Philip Shen’s Seventieth Birthday, ed. LAI Chi-Tim, LAU Kwok-ying and CHEUNG Chan-Fai, Hong Kong: Chung Hwa Book Co.)，2003，2 + 346pp. 《永久和平的倡議者：康德作品選讀》（人文經典隨身讀系列：8），劉國英導讀及選讀（台北：誠品書店）(Philosopher of Perpetual Peace: Introduction to Kant and His Works, Classics in Humanities Series, No. 8, Introductory Essay & Selected Readings by LAU Kwok-ying, (Taipei: Eslite), 1999), 223 pp. “Image-picture vs Image-fiction: Is Sartre Ignorant of Productive Imagination?”, in Saulius Geniusas (ed. ), Stretching the Limits of Productive Imagination: Studies in Hermeneutics, Phenomenology and Neo-Kantianism (London: Rowman and Littlefield, 2018), Chapter 8, pp. 147-161. ＜歷史與現象學還原──胡塞爾《危機》中的歷史還原道路＞(“History and Phenomenological Reduction: Husserl’s Historical Road to Reduction in the Crisis”), in《現象學與人文科學》(Journal of Phenomenology and the Human Sciences), No. 7, <從邏輯到歷史：胡塞爾專輯>(From Logic to History, Special Issue on Husserl), 2018, pp. 71-108. “Différance, Lack and Écart: Elements of the Logic of Heterogeneity”, in Kontexte des Leiblichen / Contexts of Corporality, hrsg. Cathrin Nielsen, Karel Novotný, Thomas Nenon (Nordhausen: Verlag Traugott Bautz GmbH, 2016), pp. 443-456. “War, Peace and Love. The Logic of Lévinas”, Social Imaginaries, Vol. 1, No. 2, 2015, pp. 103-126. “The Madness of Vision: The Painter as Phenomenologist in Merleau-Ponty”, in Corporeity and Affectivity: Dedicated to Maurice Merleau-Ponty, eds. K. Novotný, P. Rodrigo, J. Slatman and S. Stöller (Leiden-Boston: Brill Verlag, 2014), pp. 161-181. ＜梅洛龐蒂錯解海德格？──重探《存在與時間》與胡塞爾的關係及基本存在論計劃的一些缺失＞(“Did Merleau-Ponty Misunderstand Heidegger? Revisiting the Relationship between Sein und Zeit and Husserl’s Phenomenology and some Omissions of the Project of Fundamental Ontology”), in 《現象學與人文科學》，第5期，＜海德格：詮釋現象學及其蛻變－《存在與時間》專輯＞ (Journal of Phenomenology and the Human Sciences, No. 5, special issue on Heidegger: Hermeneutic Phenomenology and its Mutation), 2014, pp. 163-192. Japanese translation of “Self-transformation and the Ethical Telos: Lao Sze-Kwang, Foucault and Husserl”, in Journal of Innovative Ethics, published by Project Innovative Ethics, Graduate School of Humanities, Kobe University, Vol. 5, 2012, pp. 1-34. “Chiasme du visible et de l’imaginaire: Esquisses pour une approche phénoménologique de la photographie”. Chiasmi International: Trilingual Studies Concerning Merleau-Ponty’s Thought, 14 (2012) : 491–500. “Four Forms of Primordial Spatiality Essential to the Understanding of Architecture: a Phenomenological Sketch”, in Phenomenology 2010, vol. 1: Selected Essays from Asia and Pacific: Phenomenology in Dialogue with East Asian Tradition, ed. YU Chung-Chi (Bucharest: Zeta Books / Paris: Arghos-Diffusion, 2010), pp. 177-199. ＜曠野心靈的牧歌──悼念李維史陀＞ (“Pastoral of the Savage Mind: Lévi-Strauss in memoriam”)，《現象學與人文科學》，第4期(Journal of Phenomenology and the Human Sciences, No. 4), 2010, pp. 295-316. “Patočkovo pojetí Evropy: interkulturní úvaha”, in Myšlení Jana Patočky očima dnešni fenomenologie, ed. Ivan Chvatik (Prague: OIKOYMENH, 2009), pp. 475-492. “Interplay Between the Visible and the Imaginary: Notes towards a Phenomenological Approach to Photography”, in Kairos: Phenomenology and Photography, by Chan-Fai CHEUNG, with essays by Hans-Rainer Sepp and Kwok-ying Lau (Hong Kong: Edwin Cheng Foundation Asian Centre for Phenomenology, Research Institute for Humanities, The Chinese University of Hong Kong, 2009), pp. x-xiii. ＜直觀自然的遺忘：胡塞爾對現代科學的解構＞ (“Forgetting of Intuitive Nature: Husserl’s Deconstruction of Modern Science”), 《中央大學人文學報》(National Central University Journal of Humanities), Vol. 38 (2009), pp. 1-36. “La folie de la vision: le peintre comme phénoménologue chez Merleau-Ponty”, Chiasmi International. Trilingual Studies Concerning Merleau-Ponty’s Thought, New Series No. 10, 2008 (Milano: Mimesis Edizioni), pp. 163-182. ＜海德格是納粹主義哲學家嗎？海德格哲學的政治意涵＞(“Is Heidegger a Nazist Philosopher? Political Implications of Heidegger‘s Philosophy”),《現象學與當代哲學》創刊號 (Journal of Phenomenology and Contemporary Philosophy), 2007, no. 1, pp. 91-120. 劉　國英，伊藤　周史 訳，＜視覚の狂気 –メルロ=ポンティにおける現象学者としての画家＞, Japanese translation of “The Madness of Vision: the Painter as Phenomenologist in Merleau-Ponty”, in 《思索》 Shisaku (Meditations) (Sendai: The Association of the Philosophical Studies, Tohoku University), No. 40, 2007, pp. 45-79. “Non-familiarity and Otherness: Derrida’s Hermeneutics of Friendship and Its Political Implications”. In Cheung Chan-Fai and Yu Chung-Chi, eds., Phenomenology 2005, 1, Selected Essays from Asia, Part 2 (1st ed. ), pp. 417–440. Bucharest: Zeta Books, 2007. Also in Tze-wan Kwan, ed., Responsibility and Commitment. Eighteen Essays in Honor of Gerhold K. Becker (1st ed. ), pp. 173–188. Waldkirch, Germany: Edition Gorz, 2008. ＜胡塞爾論佛教＞(“Husserl on Buddhism”)，《現象學與人文科學》(Journal of Phenomenology and the Human Sciences), No. 3, 2006,＜現象學與佛家哲學專輯＞(Special Issue on Phenomenology and Buddhist Philosophy), pp. 9-26. ＜一種新的人文主義烏托邦──萊維納斯百年追思＞(“A New Humanist Utopia: Centenary of Lévinas”)，《現象學與人文科學》(Journal of Phenomenology and the Human Sciences), No. 3, 2006, pp. 323-335. ＜後現代思潮是保守主義嗎？──對哈貝馬斯的一些嚮應＞(“Is Postmodernism Conservatism? Some responses to Habermas”)，《復旦哲學評論》(Fudan Philosophical Review)，Vol. 3, 2006 (Shanghai), pp. 277-290. ＜現象學可以還中國哲學一個公道嗎？－－試讀老子＞(“To What Extent Can Phenomenology Do Justice To Chinese Philosophy?—Attempt at a Phenomenological Reading of Lao-Tzu”)，《現象學與人文科學》(Journal of Phenomenology and the Human Sciences), No. 2, 2005, ＜現象學與道家哲學專輯＞(Special Issue on Phenomenology and Taoist Philosophy), pp. 9-35. ＜一門豐饒的現象學人學：悼念保羅·利科(1913-2005) ＞(“A Rich Phenomenology of the Human: Paul Ricoeur (1913-2005) in memoriam”)，《現象學與人文科學》(Journal of Phenomenology and the Human Sciences), No. 2, 2005, pp. 417-424. “Intersubjectivity and Phenomenology of the Other: Merleau-Ponty’s Contribution”, in Space, Time, Culture, ed. David Carr and CHEUNG Chan-Fai, (Dordrecht/Boston/London: Kluwer Academic Publishers, 2004), pp. 135-158. ＜印象主義繪畫的現代性格與現象學意涵＞，創刊號 (“Impressionist Painting as Modern Art and its Phenomenological Significance”)，《現象學與人文科學》(Journal of Phenomenology and the Human Sciences), No. 1, 2004, pp. 125-153. ＜解構就是希望－－悼念雅克德里達(1930-2004) ＞(“Deconstruction as Hope: Jacques Derrida (1930-2004)”)，《現象學與人文科學》創刊號 (Journal of Phenomenology and the Human Sciences), No. 1, 2004, pp. 275-287. ＜勞思光先生與中國式的批判精神＞(“LAO Sze-Kwang and Critical Spirit of the Chinese Style”)，刊於《無涯理境──勞思光先生的學問與思想》，劉國英、張燦輝合編，香港：中文大學出版社 (“Infinite Horizons: Professor LAO Sze-Kwang as Scholar and Philosopher”, ed. by LAU Kwok-ying and CHEUNG Chan-Fai, Hong Kong: The Chinese University Press), 2003, pp. 3-28. ＜超越現代、捨棄現代、還是現代的再出發？——李歐塔的後現代哲學＞(“Overcoming Modernity, Abandoning Modernity or Recommencement of Modernity ? The Postmodern Philosophy of J.-F. Lyotard”), 香港：《社會理論學報》，第四卷，第一期 (Hong Kong: Journal of Social Theory, Vol. 4, No. 1), 2001, pp. 121-146；republished as ＜超越現代、捨棄現代、還是現代的再出發？——利奧塔的後現代哲學＞，刊 《現代性、後現代性社會理論：詮釋與評論》，謝立中、阮新邦編，北京：北京大學出版社（“Modernity and Postmodernity: Interpretations and Comments”, eds. Xie Lizhong & Yuen Sun-Bong, Beijing: Peking University Press），2004, pp. 390-410. ＜肉身、空間性與基礎存在論：海德格爾《存在與時間》中肉身主體的地位問題及其引起的困難＞ (“Body-proper, Spatiality and Fundamental Ontology: The Problem of the Status of the Body-Subject in Being and Time and its Difficulties”)，《中國現象學與哲學評論》﹐第四輯 (Journal of Phenomenological and Philosophical Research in China, Vol. 4)﹐上海：上海譯文出版社 (Shanghai: The Shanghai Translation Publication Press)，2001， pp. 53-77.